Recently, several NAKIVO team members headed to the city of Poznan, Poland, to attend TECH meets – a data protection event held by FEN. FEN distributes and provides pre-sale and after-sale support for modern ICT products, including storage, virtualization, security, and other solutions. The educational element is an important part of FEN’s business. The company organizes meet-ups, delivers webinars, and offers other kinds of training for their business partners. 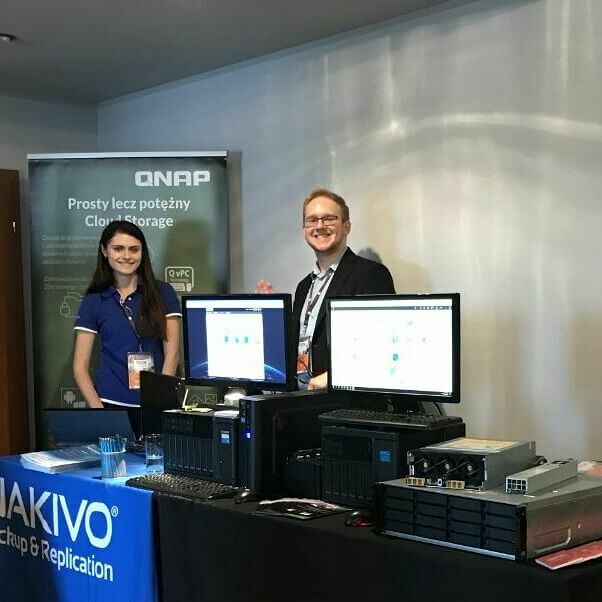 Earlier this month, FEN became NAKIVO’s authorized distributor, committing to use its network and professional services to increase NAKIVO’s presence in Poland. TECH meets in Poznan became a networking point for companies working in virtualization, storage, security, and other data protection fields. 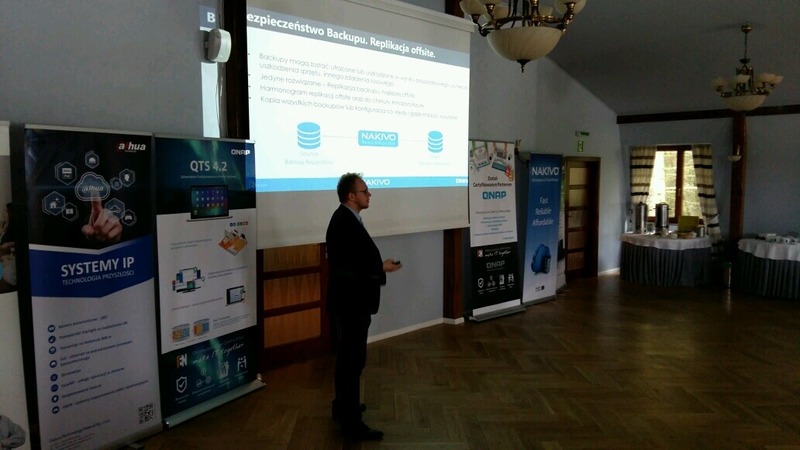 Included in the speaker line-up, we presented NAKIVO Backup & Replication – our fast, reliable, and affordable data protection solution for VMware, Hyper-V, and AWS EC2 environments – and explained its benefits for small and medium-sized businesses. 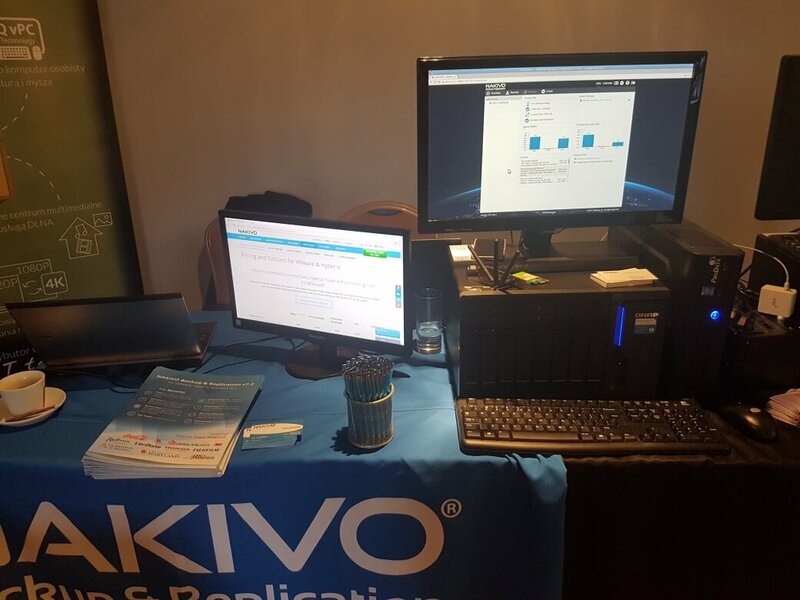 We talked about fast and forever-incremental backups, simple VM replication, instant recovery of virtual machines and application objects, and other features of NAKIVO Backup & Replication designed to take VM protection to a whole new level. QNAP Systems, Inc., our long-standing partner, was also there, which gave us a perfect opportunity to demonstrate seamless integration of NAKIVO Backup & Replication with a QNAP NAS into a powerful VM backup appliance – an all-in-one device that combines backup software, hardware, storage, data deduplication, and backup to cloud and can help increase VM backup speed by up to 2X and lower costs by up to 5X. It wasn’t just words. Participants could experience the simplicity and intuitive nature of the VM backup appliance by running VM backup and recovery jobs on it and testing its other functions. Such field events are not just a networking opportunity. They are also a perfect chance to get real-life feedback and suggestions on the product. We came home with invaluable data, and will take it into account in defining the course of the development of NAKIVO Backup & Replication to make it better cater to the needs of businesses. We would like to thank FEN for the invitation to TECH meets and look forward to more awesome events.